It seems as though most website owners shell out big bucks to promote their websites using the same methods over and over again. In order to be effective you’ve got to think UNIQUE! So, here is my list of the top 10 most unusual but effective methods to increase your website traffic, and the estimated cost of each. USE AT YOUR OWN DISCRETION- you have been warned! 1. Write your domain name all over your body and run around town in your underwear. If you’ve ever heard of GoldenPalace.com, this is probably why. 2. Buy a police scanner. Sit around listening to a police scanner all day. When you hear exciting news, drive yourself to the scene as fast as possible hoping that your local news station decides to broadcast a live feed. When they do, jump around in the background yelling the name of your website at the top of your lungs! Do this enough and you will start to gain a fan base! People will actually watch the news just to see if you did it again! Stickers are cheap! Buy some small stickers with your website printed on them and stick them EVERYWHERE! 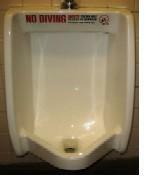 Above the urinals, on your car, on the speaker at the McDonald’s drive through… anywhere you can think of. 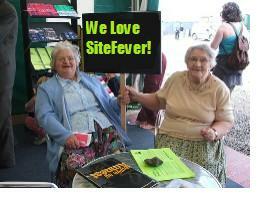 Go to your favorite cyber cafe, electronics store or library and set the homepage on all of them as your website! Most people who use a computer don’t even know how to change it back if they wanted to. Go to a popular newspaper stand first thing in the morning when it is full. Put your 50 cents in and take out all the papers. Using a nice thick Sharpie marker, write your domain name as large as it will fit on the front page of every paper. Alternatively, you can just stick a flyer inside every newspaper. Pay another 50 cents to open the newspaper stand back up and put all the papers back. Wait around to see the expression on everyone’s face when they grab a paper! By far, this is not the wisest thing to do- but it works. Every time you get paper money in your hands, write or stamp your domain name on it somewhere. Every person who comes in possession of that dollar will see your domain name. Ever hear of Where’s George? Their website is showing a Google PageRank of 6/10 right now, and TONS of people have heard of it. Websites such as Where’s George are still in existence because they claim that they are not defacing money to the point that it is unfit to be reissued. I originally pointed this option out in my article 10 Great Ways to Advertise Your Business for Under $100. Hire someone to stand at a busy street corner all day for $50. They can hold a sign or wear a placard advertising your website. Everyone who travels through the intersection will be sure to spot it. If someone runs you off the street corner, you have another option. If you, a relative or a friend lives on a busy street, you can just stand out in the yard instead! Sell your website on Ebay for some ungodly amount, such as $20,000,000! It’s sure to spark the attention of all who see it, so their curiosity will probably get the best of them. 99.999% chance nobody will buy it (because you really don’t want to sell it), but hey- if somebody pays you 20 million for your site, I’m sure you would accept! Imagine if you were at the Super Bowl with tickets right behind the end zone. Every time someone attempted a field goal from that end zone, you hold up a huge poster with your website printed on it! Your website would be seen by millions of people all over the world! OK. So maybe we all can’t go to the Super Bowl, but there are plenty of other televised sporting events you can try. Surf the net looking for some interesting videos. When you find them, use a video editing program to insert a screen that says something like “This video brought to you by www.yoursite.com” in the beginning of the video. Then, upload the videos to YouTube. If they become popular, you will get a lot of traffic to your site. Use social networking sites such as Digg. Register and post in as many forums as humanly possible and insert your URL in your username, your signature line, your location and your avatar. Comment in as many blogs as you can being sure to use your URL. Make a MySpace profile and try to get as many friends as possible. Then, send a bulletin out to all of them talking about your website. You see? With just a little bit of creativity and just a few dollars, you can come up with some ideas that will drive massive traffic to your website. Have you tried any of these ideas in the past? If so, let us know how they worked for you! Thanks to some members at DigitalPoint for inspiring me to write this article and helping with some of these ideas! Namely, populartemplate, rj2kix, Barre Tire, Noddegamra, jordanthegreat and Triexa. 24 people had something to say. What do you think? Blog Challenge: Increase Your Technorati Authority By 300 In 30 Days! Here’s an interesting challenge we can all participate in so that everyone can accomplish the same goal: Increase your Technorati Authority By 300 In Only One Month! (It will also help you improve your backlinks as the new Google PageRank update is right around the corner) How will it be done? 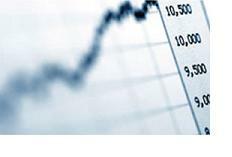 Technorati authority is measured by how many different blogs have linked to your blog in the last six months. Of course, if one particular blog links to you 20 times, it will only count as +1 for your authority- which is good because the goal here is not to link farm your blog everywhere and penalize yourself in the search engines. This works similarly to a blogroll, only easier. 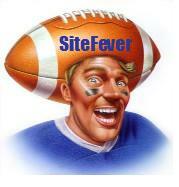 The list below starts with SiteFever.com linking to BlueJar.com. Add your site to the list and who you want to link to, then pass the list on. If you want to be extra nice, you can even link to more than one blog. Each blog that posts this list after your site has been added will increase your Technorati rating by +1 and help your backlinks in the search engines. You can track where this list travels throughout the blog world from your Technorati reactions. The goal here is to reach an incredible record of +300 Technorati authority for the blogs who participate! Can it be done? 7 people had something to say. What do you think? Too much animation or flash objects can distract your visitor from the real “meat and potatoes” of your site and cause them to lose interest very quickly. Try to only use animation where it would add a specific value to the content of your site. Just because your monitor can display 5 million different colors doesn’t mean that you have to use every single one of them. The same goes for fonts. Try to use just 1 or 2 fonts within your website as well as only a few choices of colors to give your site a recognizable theme or style that looks professional and is easy on the eyes. Be sure to update any links that do not work correctly. Dead links not only make for a poor user experience, but the search engines hate them as well. Also, it’s important to remember that Internet Explorer is not the only browser out there. Be sure that your website is designed to display and function properly with Mozilla, Opera and other popular Internet browsers. Pop-ups and pop-unders should only be used when you feel it to be absolutely necessary. First of all, many Internet users will be using a pop-up blocker, so chances are your message will not even be seen. Secondly, even if they are blocked, pop-ups and pop-unders are very annoying to visitors and really give a nonprofessional “spammy” appearance. Don’t give something to your visitors that they are not expecting. If you must use pop-ups, only have them execute if the visitor clicks on a link and be sure to make mention that the link will open in a new window. Everyone wants to make money from their website- and rightfully so. Only, try to find a balance between content and advertising. Nobody wants to visit a website where you have to sift through 5 minutes of ads to find 5 seconds of quality content. When creating a new website or redesigning an existing site, it may be a good idea to have your friends or family give their honest reviews of your site’s overall look and functionality. Another option is to join a webmasters forum and ask members to visit your site and give their reviews and opinions. This will help you broaden your horizons to design your site to be appealing to people of all different demographics instead of deigning it to be appealing only to you. If you know the importance of SEO, then you should know the importance of stats tracking- including conversions. But, what exactly is a conversion? In my case, I’m managing a fairly new blog. So to me, a conversion would be for someone to subscribe to my full content RSS feed. I feel that if someone thought that my blog was helpful and interesting enough to subscribe to my RSS feed, I had accomplished my goal. So that’s my “conversion”. What’s yours? Do you spend money on links or ads and work for hours on end trying to improve your search engine rankings? Remember- good ranks do not guarantee conversions! You can spend a million dollars on PPC (pay per click) ads or rank #1 in Google for your favorite keywords, but if you don’t do a good job of accomplishing your goal (conversion), all of your work has just been thrown out of the window! Also, what you consider a conversion today may not be a conversion tomorrow. Since I want to build up the number of RSS feed subscribers to my blog, that’s my conversion. But when I have 10,000 subscribers, I may want to push for something else. I may decide that I need more of my visitors to make comments on my blog or to Digg my articles. Choosing what you consider a conversion is an ever-evolving process that you must re-evaluate on a frequent basis in order to get the most out of your visitors. So remember: Before you start your next big SEO or advertising campaign, know what a conversion means to you and be sure to steer your visitors in the direction they need to go in order to accomplish your ultimate goal. 0 people had something to say. What do you think? 15 people had something to say. What do you think?